Becoming the new executive chef at MoRoCo Chocolate is like “coming home” for Chef Eyal Liebman, according to wife and co-founder of L is For…, Rebecca Meir Liebman. They previously held a series of pop-up dinners including this 6-course chocolate popup dinner, hosted by Abbey Sharp of Abbey’s Kitchen. With this successful team collaborating again on the launch of MoRoCo Chocolat’s new menu on June 11, we were salivating in anticipation. 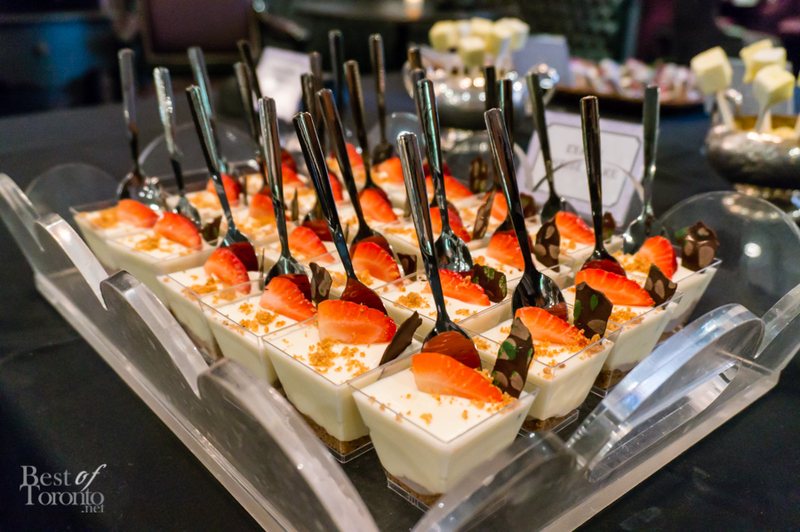 With chocolate in the restaurant’s name and Chef Liebman being classically trained in French techniques, naturally the desserts were something to look forward to. My undisputed favourite of the night was Eyal’s Cheesecake. It was extremely light and melt-in-your-mouth, not at all like most cheesecakes, which tend to be dense and very heavy. The balance of sweet from the cheesecake and graham cracker crust with the sour from the berries was just perfect. This was definitely one of the best cheesecakes I’ve ever had. 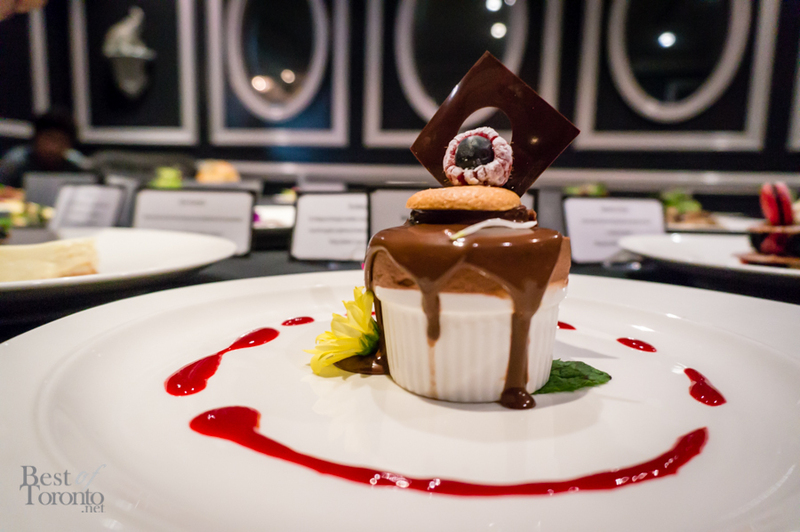 The other desserts were also delicious, including a duo of panna cottas – one with strawberry tarragon consommé and another with coffee syrup, house-made lemon marshmallows, and Chef Liebman’s take on a Napoleon, aptly named “Napoleon à ma façon”. 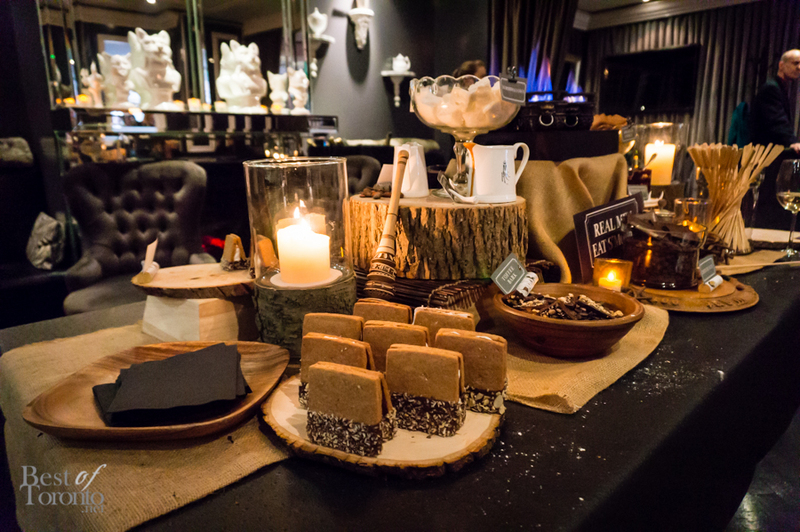 Undoubtedly the most impressive presentation for any dessert was for The S’mores, which had a whole station set up for you to create your own. We toasted house-made marshmallows over a fire and sandwiched them between graham crackers and exquisite Valrhona chocolate. For those who didn’t want to be hands-on, there were also s’mores that were already pre-assembled. Not to be overshadowed, the savoury dishes on the new menu also shone. 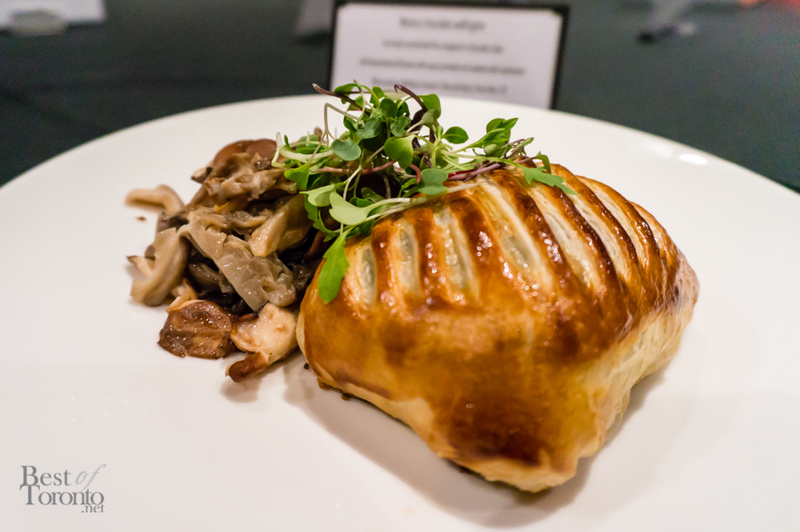 I am a fan of combining savoury and sweet, so when I saw the fully-plated MoRoCo Chocolate Wellington, I could not wait to try it. When it finally came, I was not disappointed. The beef loin was extremely tender, the chocolate crêpe was soft with the right amount of sweetness, and the puff pastry was light and flaky. This dish was a showcase of culinary skill and a real understanding of how different flavours and textures can work harmoniously. Other savoury dishes we were treated to include the Beet Tartare with Goat Cheese Mousse, Salade Caprice De Reine, Salmon Grave-Lax, Steak Tartare, Confit de Canard Ravioli, and cured sausage, part of a charcuterie plate. On the menu, each dish has a suggested wine pairing. On this night, wines from Château des Charmes were poured, the selections being a Chardonnay, a Riesling, and a sparkling wine. 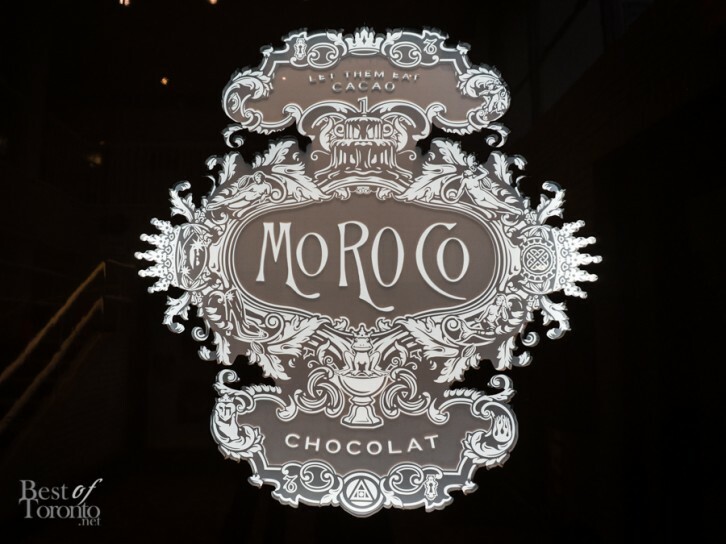 The ambience at MoRoCo Chocolat is classic and traditional, yet sophisticated and modern. Incidentally, this is also how I would describe the great food that we had on this night. MoRoCo Chocolat truly does seem like the perfect home for Chef Liebman. He delights the eye with his presentation, but more importantly delights the palate with the flavours and textures. While unfortunately we didn’t get to taste every item on the new menu, it’s really just another reason to come back.